On this month's Drinking on the Last Frontier, Bill revisits the history of alcohol in Alaska and visits with Doug Hogue of Kenai River Brewing about new additions to the brewery. Also, gift suggestions for the craft been lover on your gift list. Cheers! 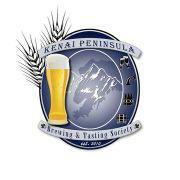 Join Bill for a visit to the Kenai Peninsula Brewing and Tasting Society, a toast to the IPA, the latest beer gear and a discussion on brewery taprooms.